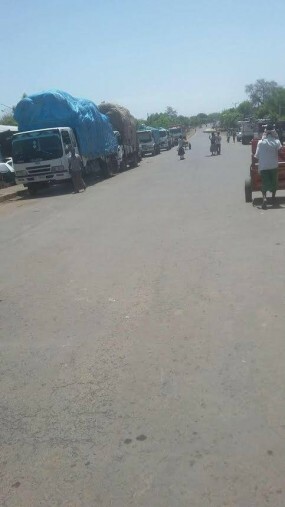 There has been reports of exchange of fire between Ethiopian regime forces and the people of Wolkait who have been demanding the government to respect their identity as Amhara and reinstate their state of affairs and administration to the Amahara region. The Tigray Peoples’ Liberation Front (TPLF) that took power in 1991 annexed the northern part of Gondar to Tigray to bring a vast fertile region under its control. There has been simmering resentment on the part of the Amharas in north Gondar for being forced to be what they are not and speak the language of the minority Tigrayans. The people of Wolkait had officially submitted their demand to the federal government but the response has been intimidation and harassment. Sunday’s development came after regime’s forces decided to abduct one of the leaders of the Wolkait people, Leley Berhane, who has been spearheading the demands of the people. Irate that their leader had been arrested, the people of Dansha in response blocked major highways passing through the town. Sources told ESAT that Tigray Special Police opened fire in an attempt to reopen the roads. Eyewitnesses said armed men of Dansha had returned fire, although they could not say if there were casualties. Sources in Dansha said a body was found on Sunday. The roads leading to Sorko and Humera were still closed on Monday as standoff continued.